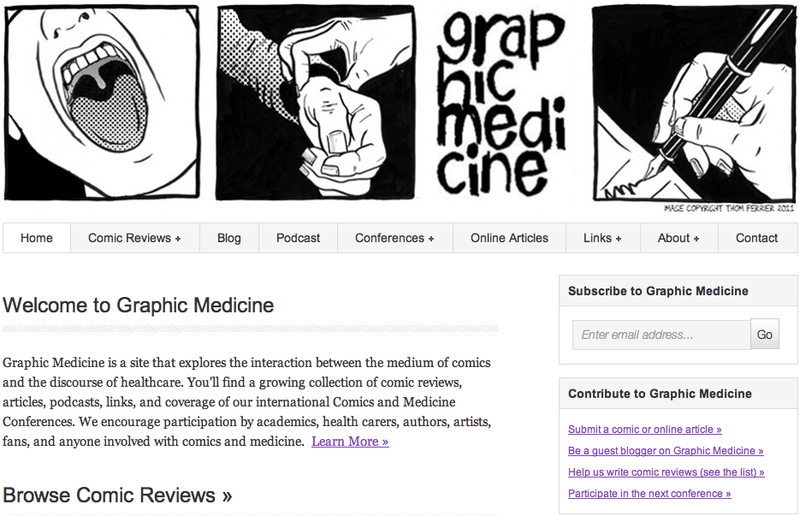 Graphic Medicine is a site that explores the interaction between the medium of comics and the discourse of healthcare. 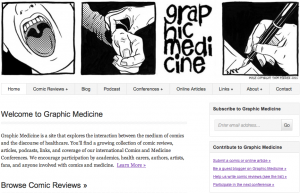 You’ll find a growing collection of comic reviews, articles, podcasts, links, and coverage of our international Comics and Medicine Conferences. We encourage participation by academics, health carers, authors, artists, fans, and anyone involved with comics and medicine.